Most people know that they should have a will, but many don’t know what a will is and how it works. If we do nothing else to take care of our legal affairs, we should write a will. If you don't make a will before your death, state law will determine who gets your property and a judge may decide who will raise your children. Many kinds of property -- perhaps some of the most valuable things you own -- don't necessarily pass through your will. Here are some things you shouldn't expect to accomplish in your will. 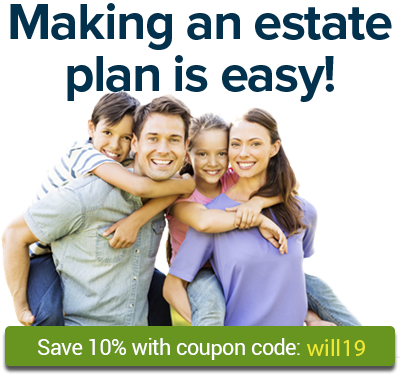 Your closest relatives may have a right to claim part of your estate. Writing a will is for strictly legal tasks like naming your executor, beneficiaries for property, and guardians for children. What you need to know about wills -- the most basic estate planning document. When naming guardians for your children in your will, it is usually best to name a guardian who lives relatively close to your child. However in many families, those who have the closest relationships with the kids are not necessarily those who live the closest, and and it is usually not a problem to name a guardian who lives far away. Should I make a will online? Can I make a will online? How is this different than going to a lawyer for a will? Is it safe? Can I assign a guardian for my child in case anything happens to me? Can we contest our father's will? If a deceased parent's will does not mention adult children, are those children entitled to anything? Can a beneficiary also be a witness to my will? I just made my will. If someone is listed as a beneficiary, can that person sign as a witness? Can my dad quitclaim property to me instead of leaving it by will? My father wants to quitclaim deed his property over to me before he dies. Can this be done? What is the best way to update my will? Can my husband and I make a joint will? Can my husband and I write one joint will instead of two separate ones? Can I disinherit an adopted child? Is it legal for adoptive parents to disinherit their adopted children? Do I share in my husband's inheritance of his mom's house? My mother-in-law left her house to my husband when she died. My husband says the house belongs to him. But doesn't it belong to both of us since we live in a community property state? Can my brother prevent me from inheriting because I'm adopted? I am adopted. Some years ago, my mother put her and my father's house in my brother's and my name. Our mother now has Alzheimer's and our father died earlier this year. My brother told me that our father had me removed from his will. (After my father became blind and unable to drive, he also became very angry at everyone.) Now my brother, who is well off financially, is trying to sell the house at auction. It was my mother's wish that I have a share of the house. What legal recourse do I have? Make sure your will reflects your current wishes and situation. Why Not Make a Codicil to Amend Your Will? A codicil is a document that’s added to an existing will, to change or add to it. And it's obsolete. The best way to revoke (or get rid of) an existing will is to create a new will to replace it. Merely destroying the original will may not be enough. Here's why. Here are the few simple steps you need to take.